Founded by Raphaël Pichon in 2006, Pygmalion is the product of the union between a choir and a period-instrument orchestra. Its repertory is nurtured by the filiations that link Bach to Mendelssohn, Schütz to Brahms, and Rameau to Gluck and Berlioz. Pygmalion is in residence at the Opéra National de Bordeaux and appears regularly at the leading venues in France (Philharmonie de Paris, Opéra Royal de Versailles, Aix-en-Provence, Beaune, Toulouse, Saint-Denis, La Chaise-Dieu, Royaumont, Nancy) and internationally (Cologne, Frankfurt, Amsterdam, London, Beijing, Hong Kong, Shenzhen, Barcelona, Brussels). Among its recent projects to have earned public and critical attention are J. S. Bach’s Köthener Trauermusik and Passions, the late versions of Rameau’s tragédies lyriques, Mozart’s C minor Mass and a programme of his music for the Weber sisters, Stravaganza d’Amore (the birth of opera at the court of the Medici), Mendelssohn’s Elias, and a choral trilogy devoted to the canon from the Romantic era to the twentieth century. Pygmalion works with stage directors such as Katie Mitchell, Michel Fau and Jetske Mijnssen, who have brought an innovative approach to works including the Bach cantatas (Trauernacht), Rameau’s Dardanus and Luigi Rossi’s Orfeo. After releasing the complete Missae breves of Bach and a version of Dardanus for Alpha, Pygmalion has recorded for harmonia mundi since 2014, a collaboration that has so far produced Bach’s Köthener Trauermusik, Rameau’s Castor et Pollux, Rheinmädchen, a new version of Dardanus, Rossi’s Orfeo (both on DVD), and the present release, Stravaganza d’Amore. Also released recently was Mozart and the Weber Sisters with Sabine Devieilhe (Erato). The ensemble’s discography has received prizes in France and abroad, including a Gramophone Award 2016, CD des Monats (Opernwelt), Diapason d’Or de l’Année, Choc de Classica, ffff de Télérama, a Victoire de la Musique 2015, an Edison Klassiek Award 2016, a Grand Prix de l’Académie Charles Cros for 2016, and Best Classical Recording 2016 on Forbes. Europa Galante, led by the renowned violinist and director Fabio Biondi, is one of the most loved baroque ensembles in the world. Based in Parma, the group’s repertoire ranges from the operas of Handel and Vivaldi and the oratorios of Alessandro Scarlatti, to the great instrumental works of the 19th century. They have a close collaboration with the Fondazione Santa Cecilia in Rome to find and restore 18th century Italian operas. Askonas Holt first worked with the ensemble in 2000, when they performed at the BBC Proms with the tenor Ian Bostridge. Since then, Askonas Holt has toured the group around the world in concert and opera performances. They have performed in North, Central and South America including at the Mostly Mozart Festival in New York and Walt Disney Hall in Los Angeles. In the UK, Askonas Holt has brought them regularly to the Barbican Centre and elsewhere, and tours to Europe have included visits to the Amsterdam Concertgebouw, Lisbon Gulbenkian, Bergen Festival, the Azores and Istanbul. Askonas Holt has also toured Europa Galante several times to Asia, and as far as Australia and New Zealand. The ensemble il pomo d’oro was founded in 2012. It is characterized by an authentic, dynamic interpretation of operas and instrumental works from the Baroque and Classical period. The musicians are all well-known specialists and are among the best in the field of historical performance practice. The ensemble so far worked with the conductors Riccardo Minasi, Maxim Emelyanychev, Stefano Montanari, George Petrou and Enrico Onofri and Francesco Corti. Violinists Federico Guglielmo and Zefira Valova lead the orchestra in various projects. Since 2016 Maxim Emelyanychev has been its chief conductor. il pomo d’oro is a regular guest in prestigious concert halls and festivals all over Europe. With the program of the 2016 recording with Joyce DiDonato, In War and Peace, conducted by Maxim Emelyanychev and awarded with an Echo Klassik 2017, the orchestra is on tour worldwide. The discography of il pomo d’oro includes several opera recordings: Händel’s Tamerlano, Partenope and Ottone, Vinci’ s Catone in Utica, Recitals with the countertenors Max Emanuel Cencic, Franco Fagioli and Xavier Sabata, and with mezzosopranos Ann Hallenberg and Joyce DiDonato. Among the instrumental albums the recordings of Haydn’s violin and harpsichord concertos as well as a cello album with Edgar Moreau received Echo Klassik Awards in 2016. In the year 2018 and 2019 a number of new recordings will be published: Handel Arias with Franco Fagioli, 17th century opera prologues with Francesca Aspromonte, Virtuosissimo with Dmitry Sinkovsky, Handel’s Serse with Franco Fagioli in the title role, Anima Sacra with Jakub Orlinski, J.S.Bach violin concerts with Shunske Sato, Barbara Strozzi with Emöke Barath. Le Concert d’Astrée, directed by Emmanuelle Haïm, is an instrumental and vocal ensemble dedicated to Baroque music, founded in 2000 by Emmanuelle Haïm. In 2003, it was awarded the Victoire de la Musique Classique for the best classical music ensemble of the year, and in 2008, it was named Alte Musik Ensemble of the year at the Echo Deutscher Musikpreis awards in Germany. Le Concert d’Astrée has been in residence at the Opéra de Lille since 2004, where it has earned a name for itself in a wide variety of staged productions. Recently, these have included a revival of Xerse by Cavalli and Lully (Opéra de Lille, Theater an der Wien, Théâtre de Caen), Mitridate by Mozart (Théâtre des Champs-Elysées, Opéra de Dijon), Il Trionfo del Tempo e del Disinganno by Handel (Festival International d’Aix-en-Provence, Opéra de Lille, Théâtre de Caen) and Il ritorno d’Ulisse in patria by Monteverdi (Théâtre des Champs-Elysées, Opéra de Dijon). The ensemble undertakes a large number of international tours featuring 17th and 18th century music, with leading soloists including Anne Sofie von Otter, Laurent Naouri, Patricia Petibon, Christopher Purves, Nahuel Di Pierro, Magdalena Kožená, Sandrine Piaux and Christophe Dumaux. Askonas Holt first collaborated with Le Concert d’Astrée in June 2015, touring France, Czech Republic and Istanbul with Magdalena Kožená. A second tour in December 2016 saw the ensemble tour once again with Magdalena, with performances in France. Askonas Holt and Le Concert d’Astrée continued their collaboration with a tour of Sweden, Denmark, Ireland and Spain in February 2018. 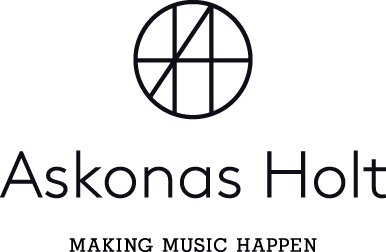 Askonas Holt first worked with this wonderful Québecoise Baroque ensemble in 2003, organising a major European tour for them and their dynamic Music Director, Bernard Labadie, alongside the star counter-tenor, David Daniels. Since then, Askonas Holt has arranged further European tours, with Magdalana Kožená and David Daniels, including concerts at the Concertgebouw, Amsterdam and at the Schleswig Holstein, Rheingau and Carinthia summer festivals, and a further European tour, with mezzo-soprano Vivica Genaux, celebrating the release of a CD of arias by Handel and Hasse on the Virgin Classics label. Les Violons du Roy are highly acclaimed for their vibrant and brilliant sound and they bring enormous vitality and energy to their performances which lends a fresh and exciting approach to a wide range of Baroque and Classical repertoire. The Mahler Chamber Orchestra (MCO) was founded in 1997 based on the shared vision of being a free and international ensemble and under the nurturing hand of Claudio Abbado, they became an independent international orchestra of the highest calibre. With 45 members spanning 20 different countries at its core, the MCO works as a nomadic collective of passionate musicians uniting for specific tours in Europe and across the world. The word “chamber” refers less to the ensemble’s size than to the chamber music approach that characterizes the MCO musicians’ style of ensemble playing. The orchestra received its most significant artistic impulses from its founding mentor, Claudio Abbado, and from Conductor Laureate Daniel Harding. Further significant artistic partnerships include the Norwegian pianist Leif Ove Andsnes, Pianist Mitsuko Uchida and composer George Benjamin. In 2013 the recording of George Benjamin’s opera Written on Skin was released; the piece was premiered by the MCO at the Festival d’Aix-en-Provence in 2012 under the direction of the composer and honoured with the International Opera Award 2013. Following this, Askonas Holt organised a European tour of Written on Skin in March 2016 for MCO together with George Benjamin, in which they gave sell-out concert performances to huge critical acclaim in Barcelona, Madrid and London. With extensive touring throughout the world and regular residences, the orchestra has performed in 36 countries on four continents thus far. Askonas Holt holds a very special relationship with the Orchestra of the Age of Enlightenment – the UK’s top period instrument ensemble. Over the past fifteen years we have arranged tours with a great variety of artists, including Ian Bostridge and Robin Ticciati, and Principal Artists Sir Simon Rattle and Iván Fischer. In addition to the tours to Europe’s leading concert halls with Sir Simon Rattle, we have arranged performances and tours in Asia and Australasia, Japan, Korea and Taipei (with Viktoria Mullova in 2003 and Robin Ticciati in 2008); and with Iván Fischer to Australia, New Zealand, Hong Kong and Kuala Lumpur (March 2006). 2016 marked a special year for Askonas Holt and the OAE, with projects together to Vienna and Asia with Ian Bostridge, and Europe with Sir Simon Rattle. February 2016 marked the first time that Askonas Holt brought the OAE to China, and we were thrilled to bring the ensemble to Paris and Brussels with Sir Simon Rattle in a programme that included Bruckner’s dynamic Symphony No. 6.